You like this place so much you just had to tell the world. Sgt. Dawson: Let me guess -- ‘FUN’? You like this place so much you just had to tell the world. I get it, I like it here, too! 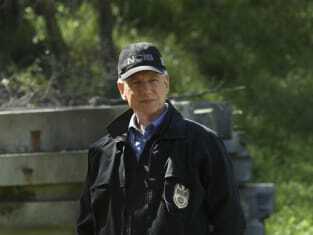 NCIS Season 14 Episode 22: "Beastmaster"
NCIS Review: Gibbs Rides a Horse (Again)! Gibbs: That’s a new lock! Sgt. Dawson: About as secure as a screen door on a submarine. Permalink: About as secure as a screen door on a submarine. Reeves: He liked me? The man said two things to me -- ‘Hello’ and then ‘Get out of the room.’ I’m pretty sure he thought I was the butler! Torres: So did I, at first! Reeves, Jeeves. So confusing. Reeves: That’s funny. I can also think of something that rhymes with 'Nick'! Permalink: I’m pretty sure he thought I was the butler!